Ginny in Haiti: It's a BOY! On May 7th, our little boy decided to come into the world 10 weeks early. My water broke in Haiti on April 26th and I flew into Miami the same day trying to make it back to Ohio. I only made it as far as Miami where they put me on hospitalized bed rest because I was only 28 weeks pregnant. On May 7th I went into labor and they could not stop it. My mom was here in Miami with me and was the first to see the gender of our baby. 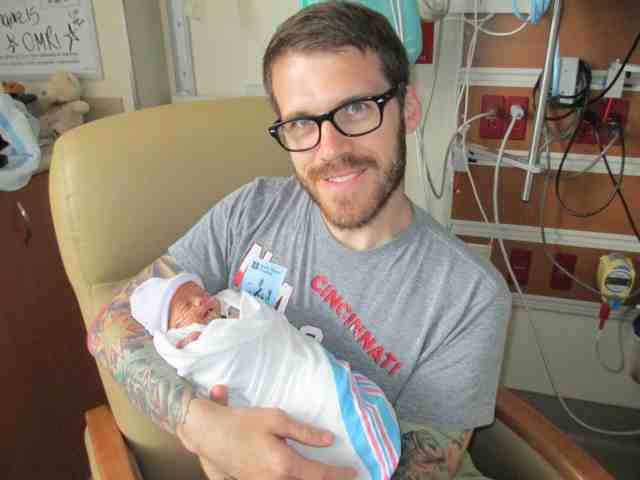 I can not tell you how thrilled my husband David is ow that he has his boy! Omri Davidson Andews-Barreau was born on May 7th at 10:06pm. He weighed 3 pounds 2 ounces and was 16.5 inches long. 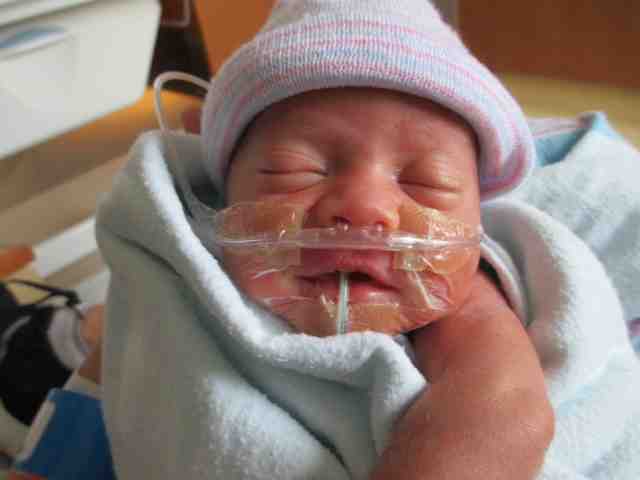 Omri is still in the NICU in Miami. He is doing well. He no longer has an IV. He is taking some feedings orally and the rest given by tube and still on oxygen. He currently weighs 3 pounds 10 ounces. My family has taken turns staying down here with me pretty much non-stop. Thank you for your prayers and kindness during this time. It is has been very stressful on our family being separated for so long and for such an important event. But God has been good and we are looking forward to the day we are together with the new addition to our family! Uncle JW holding him for the first time. Mommy holding him for the first time. And I haven't really put him down since! Mama Lynn and PawPaw looking at their first grandson! Pictured below is the first time Daddy and Odessa are seeing him via Skype from Haiti! They can not wait to get their hands on him! Congratulations Ginny on you new baby!